All the action, live from Vienna. IT’S BEEN A beautiful day, and it was topped off with a beautiful Eurovision. Here at DailyEdge.ie we blogged every moment, every fist of pure emotion, every windswept diva, every set of glowing white teeth, and every prolonged high note that Vienna threw our way… and there were a lot. Sweden’s Mans Zelmerlow won the title with Heroes, and well deserved it was. While we wait, why not find out which Irish Eurovision Contestant you are in our quiz? I got Jedward. I don’t want to talk about it. DON’T FORGET. The annual Eurovision drinking game. It has to be done. Prepare for the Australia snark. Well that was a classy opening. This guy is the undoubted star of it all. He’s just happy to be there, guys. An instrumental version of Rise Like a Phoenix, and now Conchita in a sparkly purple number. We’re spoilt. CONCHITA IS FLYING. WE REPEAT, CONCHITA IS FLYING. Poor Molly, how she at least got a ticket in the nosebleeds. Here’s the running order. Great bunch of lads, great bunch of lads. Someone make this happen. WHO CAN MAKE THIS HAPPEN. Oh, take your time, we only have 27 acts to get through. More cheesey montages please, especially if they include more Conchita lookalikes. Aaaaaand we’re off. Finally. Here’s Slovenia with their headphones, they wear to make them feel more relaxed. Listen, we’re not gonna sugar coat it, you look like those lads on the back of the bus wearing unplugged Beats by Dre. Song isn’t bad though, thoughts? I mean, surely this hair-blowing situation is impairing the audio experience? Hide your ice cream France, look at those gulls behind you. This is Lisa Angell, singing N’oubliez Pas. It’s quite… intense. Yes, they are clothed. But it is worrisome. Up next, we’ve the Israeli Justin Timberlake. Nadav is singing Golden Boy, which could have been written by an Irish mammy. Just an FYI, anyone calling himself the ‘king of fun’, probably isn’t. Here’s Estonia. These pair are definitely gonna ride. Fun fact, Elina was discovered on YouTube by the lad, Stig. Romance. Marty has completely lost the run of himself. He can’t help the laughter, he’s mumbling Republic of Telly. Is everyone else seeing this? There is more colour in the UK’s act than Georges Street right now. Can we all congratulate Armenia on their attempts to hit every note ever created? Most importantly, these lads in the audience. Come to Ireland lads, plenty for you here. THEY KISSED AGAIN. We’re sensing a pattern here. Just get together already Monika and Vaidas. Lithuania, can’t help but feel cheery. Here’s Serbia, with Beauty Never Lies. Bojana Stamenov is killing it. Fingers crossed for a dark horse winner. OK, just gonna say it, Norway is a bit of a tune. And Debrah Scarlett’s hair is fab. We’re just a little bit jealous. Sweden has arrived, the favourite to win. Thoughts? Other than, ‘he’s a ride’? I think it’s very Imagine Dragons. Observe. Ooooh, Cyprus is up now. In black and white. Their song is One Thing I Should Have Done by John Karayiannis. It’s all very mushy. Where are the circular pianos? The spinning clowns? The gyrating hips? Give us something! How are you getting on with the drinking game? I’d play it with some water but I can’t really take the time to go to the loo that often. I mean, Marty is VERY BEMUSED. Also, please return Olly Murs’ general being. Can’t fault the hat though. Maybe we were too harsh on Guy Sebastian? If you’re doing the drinking game, you’ll probably need to switch to minerals due to the Australian snark rule. Belgium boy Lorde is pretty great, and pretty scary. STAY. AWAY. Loic. Also, you’re 19. Achieve less. Next up, we have Austria, last year’s winners, with The Makemakes. The whatwhats? JESUS LOOK AT THEM. The hat, the hair, we can’t. Here we go GREECE. A strong ballad, but a strong breeze has hit the stage and she’s gonna catch her death in that dress. Sorry love, your attempts to ‘catch’ it will only fail. We’re all suitably freaked out by Montenegro. Penney’s knows what’s up. Hold on. Hold on a damn second ‘Montenegro’. Germany was a bit meh, wasn’t it? Any predictions for a winner yet? William’s got a tip for ya. Heard it here first, so you did. There’s Poland again, flogging their fragrant washing detergent. We already got the industrial sized in Aldi. 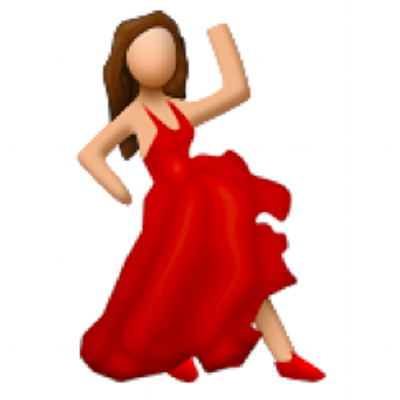 Latvia rocked, AND she came dressed as the red dancing emoji lady. While we like Romania’s necklace tie thing, he looks too like Pitbull for us to concentrate. JLO gonna pop out any minute? Fingers crossed. They can’t, they won’t, they never will… stop the party. Here’s Spain, with Amanecer and the industral wind machine again. Wind machine watch: Getting up to like a 7 on the Beaufort scale. Jesus, is it just us or is it getting hot in here, Spain? Georgia is a stand out, she looks like she’d actually kill you if you dared not give her ten. Oh yeah… that goth kid from school. Up next, Azerbaijan, with Hour of the Wolf. The song isn’t up to a whole lot, but these dancers are wrecking the place. Whoa, Russia knocked it out of the park. Singer Polina Gagarina looked and sounded like something from Frozen. Only two more left lads. HANG ON IN THERE. Finally, Italy finish us off with three tenor-like lads. I have no idea what these lads are saying but their hair and brows are on POINT. This guy SO doesn’t need these glasses though. Chancer. She’s got long hair, still, and a fabulous suit jacket dress that we have to compare. Oh great, the recaps. Because once simply wasn’t enough. Here comes the interval act. It’s like Whiplash all over again. ALL THE EMO KIDS HAVE TAKEN OVER. The guy in the black hates his life. C’mon lads…. I’ll start you off. This guy and his crazy eyes are stealing the show. I’m not sure if it’s a show or a sugar-induced hallucination. I’ve eaten a lot of Skittles. Oh, other people see him too. More recaps. Will they recap the recaps next? Anyway, here’s the numbers to vote. Full deets over with RTE. Look at Mary Berry watching the Eurovision with a glass of pink stuff. The things she must have said! What about Nicola Sturgeon, any craic from her? CONCHITA WATCH. Her hair is now short. How does she do it? Conchita is going to win again. She has as much right as Australia, we say! This 14-year-old winner of the junior Eurovision Vincenzo Cantiello just outsang the whole competition. He’s just wonderful, God bless him! They’re doing a montage of previous winners. The Eurovision has just won the Guinness World Record for the longest running music competition in the world. Montenegro is first up to vote. What on EARTH is going on with her outfit? Their twelve points went to Serbia, anyway. Nice start for them. Malta gave their 12 to Italy. Serious white jacket from Finland, Joan Burton would be jealous. They gave their 12 to Sweden. Greece gave their 12 to Italy. Romania have gifted Italy with their 12 PWNT. We still haven’t gotten over Susie. LOOK at this lad’s hair. Stop waving, and tell us that Belarus gave 12 points to RUSSIA. The shade handed out by your wan on the left. Albania give their 12 to Italy. This guy has committed so many fashion crimes in such a small margin, we can’t. Moldova saved our eyes by giving 12 to Romania. Can’t stop thinking about Susie. Susie, you ok hun? This is like the second most exciting count we’ve had all day. Latvia just gave Sweden their 12 points and Serbia to Montenegro, Denmark to Sweden. Hold on, who slipped Katherine Jenkins into the green room? Forget Susie, where did Estonia’s bird go? Belgium, represented by the lad from The Artist and the Nespresso ads, just gave 12 points to Sweden. WHY AREN’T THE LADS DISAPPEARING? SCARLET ALERT. Austria and Germany are the only two with no points so far. We gave one to the UK. You’re welcome. Germany gave their 12 to Russia. But more importantly… that DRESS. They’re laughing WITH each other, not AT each other. We’re half way through the voting. Here’s the leaderboard. People aren’t happy with Ireland’s one point to the UK. Austria is having a damn party. They gave their 12 points to Australia. Jesus wept. Niall, it would have been too good. TOO good. So, the UK aren’t going to win. But Nigella looked fierce doling out those results. Their 12 went to Sweden. NADIA. WHERE ARE ALL THE GALS GOING? Susie? Estonia gal? Nadia from Georgia? Why wasn’t Nigella invited? Poland sent the ultimate Irish festival hunzo to give their vote. Sweden get their 12. Will this ever end? I doubt it. I can’t remember a time when the Eurovision wasn’t on. Sweden is still in the lead, with eight countries still to vote, not counting the three vanishing women. Sweden are running away with this. Cyprus gave their 12 to em. We’re still not over this Russian dad joke though. Divils. That’s it… nobody can catch them, Mans Zelmerlow has won for Sweden with Heroes. Susie, Tanya from Estonia and Nadia from Georgia all came back in the end. What a happy ending. God bless us everyone. There’s Sweden now, delighted with life. It’s their 6th win, putting them right behind us as the second most successful in the contest. Conchita and Mans are our OTP to be honest. We are all heroes, no matter who we are, who we love, what we believe in, we are all heroes. Congrats Sweden. There have been laughter, tears, minor breakdowns… but you won. GOODNIGHT VIENNA, and you lot. Off to bed with you. Email “Eurovision 2015 as it happened: Flying Conchita, vanishing women, and Swede heroes”.